- Brook's lavish and expansive design offers both privacy and ease for every member of the family. 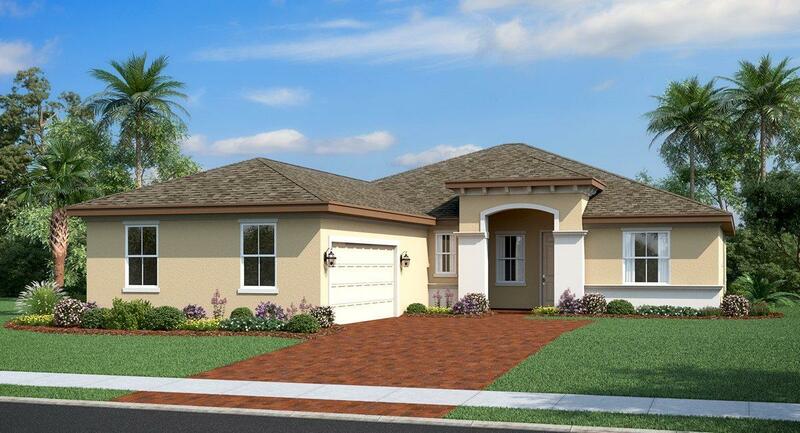 The three-bedroom home has a covered entry, which leads through the foyer into a grand great room, offering direct access to the covered lanai and to a spacious kitchen and dining area. Stainless steelappliances, wood finish cabinets, easy-care mica countertops, and a two-compartment stainless steel sink complete the lovely kitchen. Brook is designed with a luxurious master suite featuring two walk-in closets and a connected master bath with his-and-her vanity sinks and a clear enclosure shower. 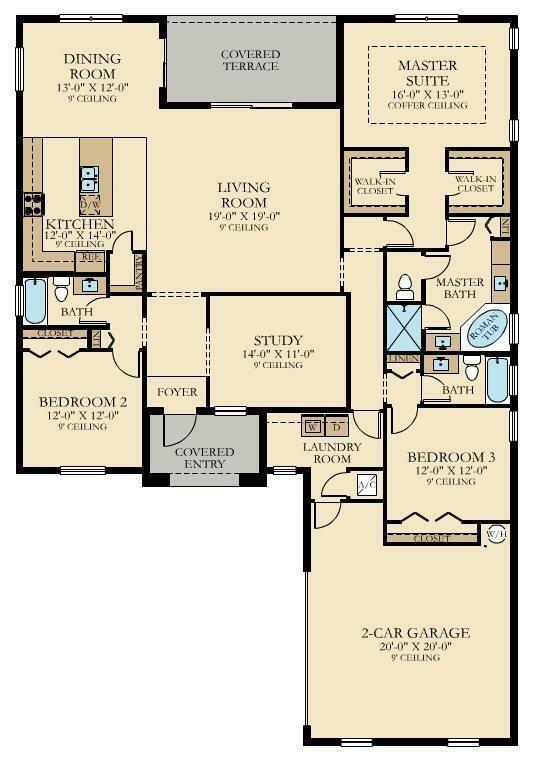 The other two bedrooms are each equipped with a spacious raised panel bi-fold door closets. This design also offers the option of utilizing the study, with a window facing the covered entry.